Sorrento House 1 by Vibe Design Group, on Melbourne’s Mornington Peninsula, is the Australian Beach house reborn. 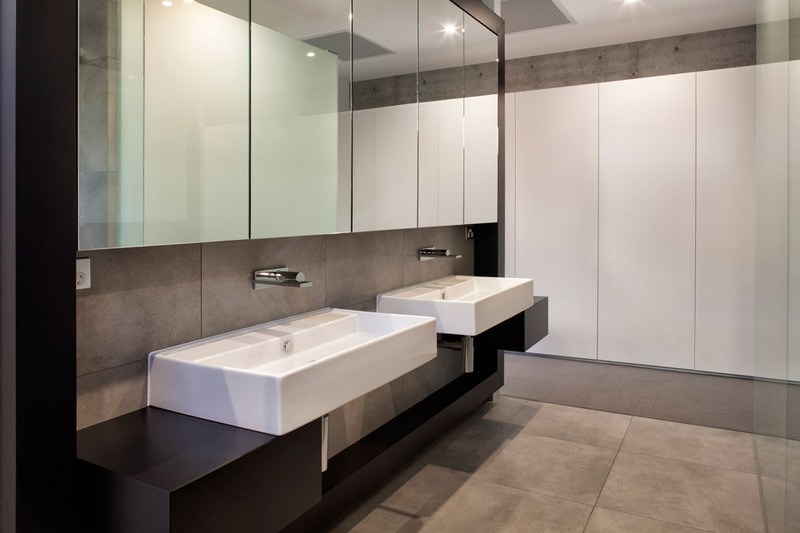 A well-honed palette of materials is introduced, their application modulated masterfully and subtly. Timber battening twists to become shuttering for windows. 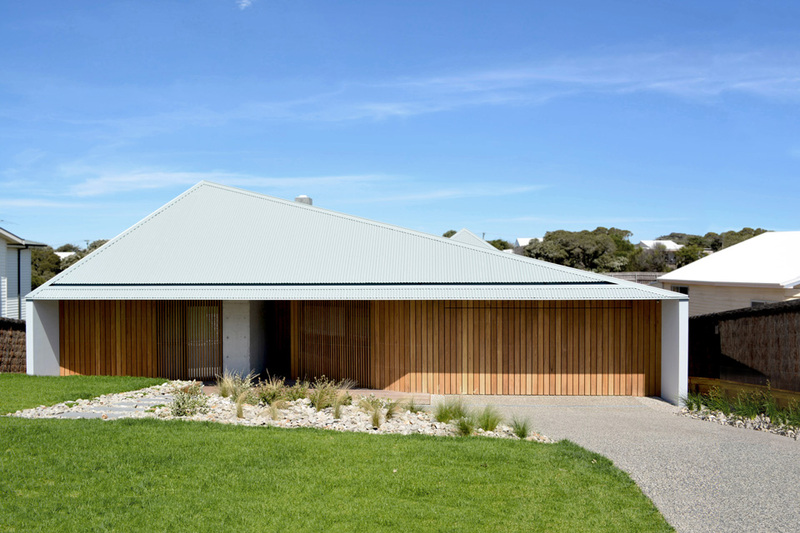 A cast concrete wall articulates the point of entry while the low-slung, ocean grey roof constructed from seamless custom Colorbond®, offers sinuous and stylish protection from seaward weather. The synthesis of timber, cast concrete and steel is sensitive and assertive in equal measure. Each material is given a role, an opportunity to shine solo, and contribute in concert. Silken timber renders concrete textural, and luxurious, in return. Extended proportions define the living spaces, from the monolithic kitchen through to the integrated fireplace and hearth. 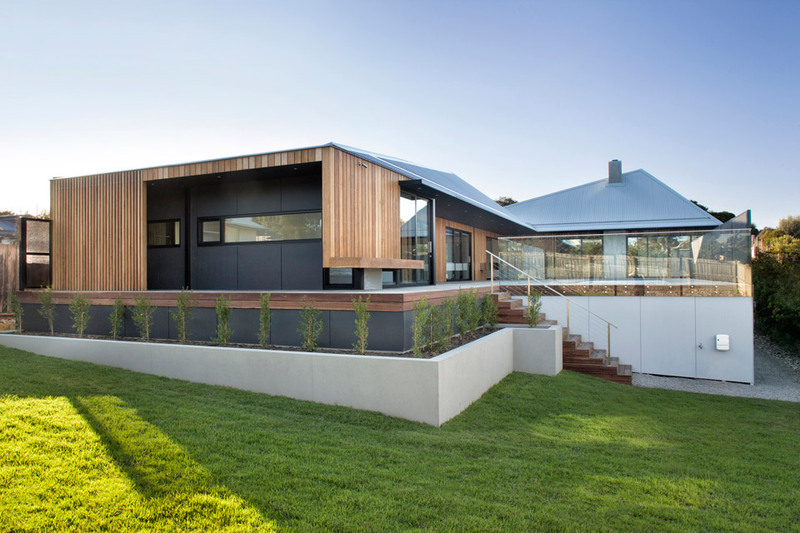 Scyon Matrix Cladding System, Spotted Gum & Blackbutt Timber, Concrete, Glass, Colorbond Steel Roofing & Flashings.